» Are Your Social Media Efforts Working with Each Other? Are Your Social Media Efforts Working with Each Other? With what seems like an endless list of social media channels that you are suggested to have presence in, how would hoteliers know they are using these channels optimally in conjunction with one another? Property name and location: Always verify that you are referring to your hotel or property with the same name, and that your various social accounts have a consistent naming structure, address, phone number, and URL included in your profile. This will strengthen your web ecosystem, and help associate any social buzz that may be created around your hotel with your hotel. Branding: Your hotel’s brand can be one of its strongest assets – use it! Use each of the social channels profile images as place to showcase your hotel’s logo. With the recent transition of Facebook to the Timeline layout, you have a cover image that is now independent of the profile image. This gives you twice as much image-based real estate to capture your audience. Voice: When posting to the various social channels, know the voice and personality that you would like to create for your hotel. By using a uniform voice across all channels, you can help build a sense of assurance with your audience and guests, and make your hotel more memorable. Write unique content: While it may seem much easier to simply copy and paste your social messages across the various channels, this adds little value to the respective channels. Duplicate content is recognized by search engine crawlers, and does not help enhance your social authority. From a user’s perspective, there is no reason to follow, like, and join your circle if they can do only one of these to receive all of the information that you may be sharing. Change up your message a bit to speak to your unique audience, as they differ from Twitter, Facebook, and other channels. Share your own content: If you add additional content to your website, are offering a specific package or promotion, or would like to highlight a unique selling point of your hotel, share these links on your social channels. Not only does this reach your audience that are already engaged with you, but it also creates citations to this content and builds the authority of the host of this content. Build your website’s authority and reach your audience in one easy step! Share content of others: Become a recognized player in your industry or in your local areas by networking and monitoring the power social users that are most relevant to you. If you would network or partner with them in person, do this online as well by visiting their social channels and sharing, retweeting, @mentioning, or connecting in any other way. Not only can you leverage the mutual relevancy in content, but also take advantage of having similar target audiences based on your local market. Share your media from one channel on the other (when appropriate): While it is important to keep the media on your social channels fresh, you can help build how well these channels work together by sharing between them. For instance, if you want to share a video on Facebook and Twitter, upload it onto your YouTube channel and share this link. Additionally, if you want to add images to your Pinboard on Pinterest, upload them to Flickr and pin them to your Pinterest account from here. This will create an authorship tag on the images being pinned that links back to your Flickr gallery. 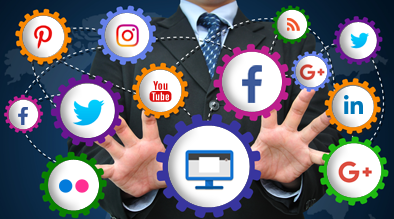 By sharing media hosted in one channel, you are building the authority and reach of these social channels, ensuring that they are working with one another and maximizing their value. It is increasingly evident that search as we know it today is influenced by social signals. How many people are tweeting, liking, pinning, subscribing, and ‘plus one-ing’ your content can have a significant impact on how authoritative and relevant your hotel becomes in the search engine results pages (SERPs). When creating your social content and plan, realize the impact that cross-channel socializing can have on authority. By following the five simple steps above while building your complete social strategy, you will build your hotel’s audience and maximize its online equity in no time. Very much agreed that now Search Engines are using Social Signals more than any other signals. Awesome piece of content to read on. After penguin I think the SEO scenario has changed a lot and content Writing and social media is playing important role in your overall reputation management.